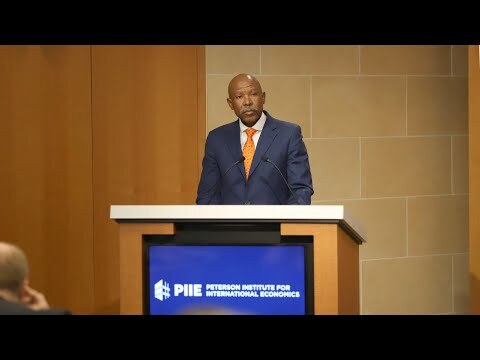 Lesetja Kganyago, governor of the South African Reserve Bank (SARB) and chair of the International Monetary and Financial Committee (IMFC), delivers the 19th Annual Stavros Niarchos Foundation Lecture at the Peterson Institute for International Economics on April 15, 2019. Governor Kganyago discusses the origins of criticisms towards central banks, in both advanced economies and emerging markets, and presents his arguments for central bank independence. The Honorable Stanley Fischer, a member of the Institute’s Board of Directors and its Executive Committee, introduces the governor.